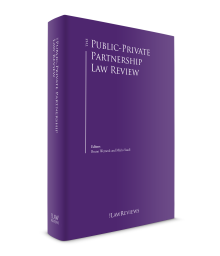 The creation of the public-private partnership (PPP) model in Brazil dates back to 2003, with the publication of the PPP Law for the State of Minas Gerais (State Law No. 14,868/2003). Subsequently, in 2004, the PPP Law for the State of São Paulo (State Law No. 11,688) and Federal Law No. 11,079 (the Federal PPP Law) were also published reinforcing this type of partnership. The PPP legislation was born of the need to attract private investment in infrastructure projects in Brazil in the following areas: water and sewage, health and hospitals, administrative facilities and logistics, including roads, urban mobility, underground transportation and transportation in general. The parties involved in a PPP contract are: the concessionaire, which is the private investor interested in carrying out the infrastructure project, and the government (which includes all entities of the Brazilian government, such as agencies, public foundations, state-owned companies and other entities controlled by the federal, state or local governments and the federal, state and local governments themselves, ‘granting authority’). In Brazil, a PPP is a specific form of concession, which differs from ordinary concessions (governed by Federal Law 8,987/1995). In ordinary concessions, the economic-financial feasibility of the project is based exclusively on the levying of tariffs on users of the granted activities (services). On the other hand, the PPP model allows the granting to private parties of services in which the government is the (direct or indirect) user, and concessions for public services and other activities in which payment by the granting authority is deemed necessary for the structuring of a project, and to fees charged by the concessionaire to users of the services provided. The main distinction between a PPP project and ordinary concessions involves the payment the granting authority executes to a PPP concessionaire throughout the performance of the agreement. The concessionaire and the government share the risks of the project in a PPP and a state guarantee is created, at the beginning of the project, to guarantee payments by the government to the concessionaire. The past years have been crucial for PPP projects in Brazil. In 2014, the Federal PPP Law reached its 10th anniversary without raising any constitutional challenge and with projects being implemented in the most varied sectors. Related tools, including requests for proposals from private parties, gained more strength and attracted significant participation from interested parties. The main topic in 2017 was the groundbreaking activities the Investment Partnerships Programme implemented in Brazil. Historically, the country lacked well-designed investment plans to allow private investments in infrastructure sectors. With the creation of the Investment Partnerships Programme, throughout Federal Law No. 13,334 of 2016, which provides a roadmap for concessions and privatisations in infrastructure and energy sectors, some measures already put in place are attracting interest from foreign investors and may bring a new wave of investment in the Brazilian infrastructure sector. Therefore, PPI represents a government effort to centralise the planning of national infrastructure development in a specific core team of the federal government, which is able to combine a centralised approach to the study and structuring of projects with the participation of all government agencies that may influence its implementation. The main purpose of such strategy is to coordinate both government and private interests to ensure a successful bidding and implementation of the infrastructure project. In addition, there are many ongoing discussions to update Brazilian administrative laws. One of them is an amendment to the Federal Procurement Law (Federal Law No. 8,666/1993), which is expected to expedite public procurement in Brazil. Another initiative is a restructuring of the federal agencies. 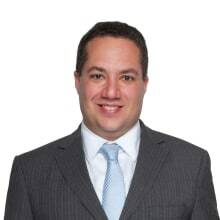 Altogether, the above laws seek to foster private (mainly foreign) investment in Brazil in the coming year. A PPP is a mechanism under which the government hires a supplier of services to implement a relevant infrastructure project, which in turn commits to make investments pursuant to the agreement and is granted the right to operate the project throughout the long-term agreement. There are two types of PPP concessions in Brazil. The first is the sponsored concession, whereby the private concessionaire, pursuant to the PPP agreement, receives fees from users of the services supplied and the agreed payments from the public partner. The second type is the administrative concession, whereby the government is the direct or indirect beneficiary of the service to be provided by the private partner. In this case, payment is made exclusively by the government. In both of the above cases, the concessionaire is allowed to explore ancillary activities to the concession or associated projects. This permission increases the concessionaires’ revenues and the investors’ interest in PPP projects. However, a portion of the additional revenue earned by the concessionaire on the provision of ancillary services must be shared with the granting authority or with service users. The method of payment for ancillary services must be determined in the PPP agreement and the granting authority might elect to discount its share of payments on the payment it is obligated to the concessionaire or it might retain its share on the tariffs to be paid by users. PPPs are largely useful for the government; they permit contracting for construction, management and provision of services with better payment methods and, as a result, they attract the interest of private investors who might introduce new methods and technologies. The government manifestation of interest, for instance, looks to PPPs when investments in key areas are needed but public funds or public expertise are lacking. PPPs may be executed in Brazil by the government, including special funds, agencies, state-owned companies, mixed public-private corporations and all other entities that are directly or indirectly controlled by the Brazilian federal government, the states, the federal district and municipalities. At the federal level, the PPP Management Committee has jurisdiction to set priorities for services to be performed under a PPP model. The Management Committee is responsible for the coordination of such projects and is composed of members from the Ministry of Planning, Budget and Management, which is subordinated to the Ministry of Treasury and the Brazilian Presidency. The Federal PPP Project Unit, which is responsible for outlining the technical, economic and financial aspects of federal projects and for undertaking feasibility studies, is part of the Ministry of Planning. Additionally, other government branches at the federal level may develop their own projects and have powers to stipulate procedures for the execution of agreements and to authorise the commencement of competitive bidding processes as well as approve bidding documents. As an alternative to boosting PPP projects, the federal government has recently created the Investment Partnership Programme to boost infrastructure in the country. The plan stipulates conditions for attraction of investments in infrastructure projects and creates an environment for greater integration between the public and private sectors. The projects developed under the programme, by choice of the president, are subject to guidelines and extensive and long-term regulatory planning and rules regarding guarantees of the project, providing greater legal stability to the concessionaire. For instance, Federal Law No. 13,334 requires federal authorities to create long-term policy frameworks prior to the execution of PPP agreements in order to align contractual matters and public planning. In order to advise the president as to which projects should be included in the programme and the guidelines for planning and regulating these initiatives, Federal Law No. 13,334 created the Programme Board. It is composed of the Investment Partnership Programme’s Executive Secretary, the Ministry of Interior, the Ministry of Finance, the Ministry of Planning, Development and Management, the Ministry of Transport, Ports and Civil Aviation, the Ministry for the Environment, and the presidents of two federal state-owned development banks (Banco Nacional do Desenvolvimento Econômico e Social and Caixa Econômica Federal). Although the federal government has not yet made use of the Federal PPP Law, the federal Management Committee model has been followed by some states. The states of São Paulo, Minas Gerais, Bahia and Pernambuco have all developed relevant PPP programmes with the execution of projects in different sectors, such as underground transportation, roads, stadia, public health and sanitation. Those states rely on the Management Committee, PPP units and state-owned companies or funds granting state guarantees in favour of concessionaires. Urban Railway Line 4 (2006): operation and maintenance of underground Line 4 in São Paulo. Alto Tietê Water Sanitation System (2008): operation, maintenance and expansion of water and wastewater infrastructure related to Alto Tietê Water Production System. Maintenance work for trains of the Urban Railway Line 8 (2010): work and services necessary for the maintenance and repair of trains operating in the urban railway Line 8 in the city of São Paulo. São Lourenço Water Sanitation System (2013): operation, maintenance and expansion of water and wastewater infrastructure related to São Lourenço Water Production System. Medicine Manufacturing Plant in Américo Brasiliense (2013): work, management and operation of a plant to manufacture medicine in the city of Américo Brasiliense, as well as manufacturing and sale of medical products to the state of São Paulo’s public health system. Urban Railway Line 6 (2013): construction, operation, maintenance and management of underground transportation Line 6 in the city of São Paulo. Urban Railway Line 18 (2014): construction, operation, maintenance and management of underground transportation Line 18 in the city of São Paulo. Hospital installations (2014): work, maintenance and management of hospital installations throughout the state of São Paulo. Additionally, the concessionaire must provide all non-medical services necessary for the operation of the hospitals (i.e., patient admission, management of patient schedules). Tamoios Highway (2014): work, maintenance and expansion of the State Highway Tamoios, which connects the northern coastline cities of Caraguatatuba and São Sebastião to the state’s countryside. Housing for low-income citizens (2015): work and services necessary to provide housing to low income citizens in the city of São Paulo. Integrated Metropolitan System of Santo’s Coastline (2015): concession of passenger multimodal transportation services (bus, light railway and minivans) connecting São Paulo’s south coastline cities of Bertioga, Cubatão, Guarujá, Itanhaém, Mongaguá, Peruíbe, Praia Grande, São Vicente and Santos. State Highway MG-050 (2007): work, maintenance and expansion of the State Highway MG-050 (Jatuaba–São Sebastião do Paraíso). Minas Gerais’ Prison Complex (2009): construction, maintenance, operation and management of a prison complex that includes a number of incarceration units throughout the state. Governador Magalhães Pinto (Mineirão) Stadium (2010): works, maintenance, operation and management of Mineirão Stadium. Integrated Unit of Services (UAI) Phase I (2010): implementation, management, operation and maintenance of the state’s UAIs, a place where Minas Gerais state provides a number of essential services to local citizens (i.e., issuance of official documents) in the cities of Betim, Governador Valadares, Juiz De Fora, Montes Claros, Uberlândia and Varginha. Integrated Unit for Services to the General Public Phase II (2013): implementation, management, operation and maintenance of the state’s UAIs in 23 cities within the state. Water and wastewater infrastructure in Rio Manso Sanitation System (2013): operation, maintenance and expansion of water and wastewater infrastructure in the Rio Manso Sanitation System, which supplies water for consumers at the Metropolitan Region of Belo Horizonte. Integrated Unit for Services to the General Public Phase III (2014): implementation, management, operation and maintenance of the state’s UAI at Praça Sete in the city of Belo Horizonte. Solid Waste Sanitation Services (2014): provision of sanitation services, including the collection, treatment and final disposition of solid waste in the Metropolitan Region of Belo Horizonte. Regional Airport Presidente Itamar Franco (2014): concession of the state’s regional airport located in the city of Guianá, including the provision of recovery work, maintenance and management of airport infrastructure. Wastewater Sanitation System of Divinópolis (2015): operation, maintenance and expansion of the wastewater infrastructure in the city of Divinópolis. Jaguaribe wastewater system (2006): operation, maintenance and expansion of the wastewater infrastructure of System Jaguaribe, including the work and operation of the infrastructure necessary to allow the disposition of wastewater generated in the city of Salvador. Octávio Mangabeira Stadium (Fonte Nova Arena) (2010): work, maintenance, operation and management of Fonte Nova Arena. Salvador’s Suburb Hospital (HS) (2010): construction, operation and management of Salvador’s HS, including provision of medical services to patients. Salvador – Lauro de Freitas Underground (2013): work, maintenance and management of an urban railway system connecting the cities of Salvador and Lauro de Freitas. Operation of Couto Maia Institute Hospital Unit (2013): provision of construction work, maintenance and management of the Couto Maia hospital complex in Salvador. Additionally, the concessionaire is responsible for providing all non-medical services necessary for the operation of the hospital complex (i.e., patient admission, management of patient schedules). Imaging diagnosis (2015): operation and management of Bahia’s Imaging Diagnosis Centre and provision of ancillary services to hospital units including imaging diagnosis as part of patient care initiatives encompassing the provision of radiology, mammography, tomography and magnetic resonance tests. Access Bridge and Highway System of Praia do Paiva (2006): work, maintenance and operation of the access bridge and highway system connecting the Industrial Complex of Suape and Pernambuco’s northern coastline. Operation of a Prison System in Itaquitinga (2009): construction, maintenance, operation and management of a Pernambuco’s Prison Complex in the City of Itaquitinga. Pernambuco’s Multi-use Arena (2010): construction, maintenance, operation and management of Pernambuco’s multi-use arena. Water supply and wastewater sanitation services (2013): water supply and wastewater sanitation services in the metropolitan region of Recife. The scope of services includes construction and maintenance services necessary for the expansion of Recife’s water sanitation infrastructure. the financial sustainability and socio-economic advantages of a PPP project must be taken into account. the PPP may not result in agreements with the sole purpose of hiring labour, supplying installation equipment or implementing public work projects. A competitive bidding process must precede the execution of a PPP. Before the commencement of the competitive bidding, drafts of the invitation to bid and agreement to public consultation must be published in the official press, newspapers of general circulation and electronic media. This notice must stipulate the purpose for the bidding process, the identification of the scope of the project, the length of the contract and its estimated value. The notice must also stipulate a period of at least 30 days for comments, and at least seven days must elapse between the time the comments expire and the date of the official publication to bid. The enactment of the notice of competitive bidding might also be subject to prior environmental permit or the issuance of directives for the environmental licensing of the project, depending on the scope of the contract. PPP projects in Brazil may be drawn up directly by the government or in collaboration with a private party. A private investor may take part in the preparation of the request for proposals issued at the behest of the granting authority or the authority may grant private investors an authorisation to conduct feasibility studies for a PPP not proposed by the government. A manifestation of interest or an unsolicited proposal is used for obtaining feasibility studies on specific public work projects. It is a tool employed by major public and private entities, and it seeks to encourage private parties to participate in the organisation of infrastructure projects. At the federal level, Decree No. 8,428 of 2015 governs expressions of interest. Manifestations of interest may be prepared by public or private entities (such as companies under government control) and they make it possible to obtain from private-sector partners certain technical, legal, and economic information regarding proposed infrastructure projects. Public authorities may also request additional studies to obtain a higher level of expertise from private partners. Unsolicited proposals precede the request for proposals. It begins with a formal request by any interested party to the government seeking to assess the feasibility of a specific PPP project. The government will review the request, and in case of approval, it will publish a notice or announce its intention via digital media. preparation of feasibility studies concerning the project. The public notice introducing the request for proposals must also indicate the scope of the project and specify the nature of the relationship between the public and private entities. The notice must establish the term during which interested parties will have to undertake research about the proposed project, as well as guidelines governing the use of this procedure by the government entity. The competitive bidding process for execution of PPP agreements may include a qualification stage under which bidders not able to reach a minimal standard will not be allowed to participate in subsequent stages. Additionally, the government must either award the concession to the bidder with the lowest cost to the government or the bidder with the best proposal, when considering both the criteria above and the best technical skills available, according to a weighting system established in the invitation to bid. The bidding documents must also state the manner in which bidders must present their proposals. Bidders might be required to provide written proposals in sealed envelopes, or written proposals followed by an invitation to bid. The latter must always be prepared inversely to the grading order of the written proposals. The invitation to bid cannot limit the number of proposals to be offered by the bidders. Nevertheless, the bidding document may limit the number of invited bidders to those whose written proposals have not exceeded 20 per cent of the amount set forth in the best proposal previously put forward. Competitive bidding documents may also establish the reversal in the order of qualification and awarding stages, in which case once the stage of grading of offers has ended, the envelope containing the qualification documents of the highest-graded bidder must be opened to determine whether the conditions established in the invitation to bid have been met. The bidder will be declared after it has been determined that its bid meets the requirements set forth in the invitation to bid. A PPP agreement must stipulate the form of payment to the concessionaire by the public party. Payment must be made by bank transfer orders, assignment of credits other than tax credits, granting government rights, granting rights on public assets or any other means permitted by law. A PPP agreement may establish that payment be conditioned to the performance of the service by the concessionaire. The granting authority must inform interested parties in the bidding documents that this will be the type of payment. Such requirement may vary case by case and depends on the operational and technical aspects applicable to each PPP agreement. Generally, payment by the public party will be preceded by the completion of the work by the concessionaire. The main goal here is to create incentives for the concessionaire to complete all the work and timely commence the provision of services pursuant to the agreement. As a result, only after the concessionaire begins to perform the service will the granting authority be obligated to make the payment. Nevertheless, the authority may be authorised, depending on specific terms agreed in a PPP agreement, to make payments that relate to portions of the service already available for use. In addition, the granting authority may provide funds in favour of the concessionaire for the acquisition of certain assets required to carry out the concession. Such funds may be allocated prior to the beginning of the granted services. This type of advanced payment may help the implementation of the work and purchase of goods necessary for the provision of services. These goods will be reverted to the granting authority at the end of the concession period and may work as a financing alternative to the concessionaire. Among the mechanisms authorised by law, payment obligations undertaken by the public party in PPP agreements may be guaranteed by: (1) pledge of revenues; (2) creation or use of special funds contemplated in the law; (3) purchase of guarantees from insurance companies that are not under public control; (4) guarantees by international organisations or financial institutions not controlled by any government authority; or (5) guarantees put by guarantor funds or state-owned companies created especially for that purpose. The state guarantee feature, which is permitted in PPP agreements, is an important innovation in agreements with the Brazilian government; this feature ensures payment of public partners’ obligations and serves as a guarantee in the event of lawsuits and claims against the government. This tool is one of the main factors that distinguishes the legal regime of PPP agreements from ordinary administrative agreements or concessions. Based on the alternatives for the creation of public guarantees inaugurated by the Federal PPP Law, each PPP agreement should have mechanisms for the implementation of such guarantees. The alternatives would rely, for example, on the existence of: (1) revenue to fund the project; (2) public goods, which could be assigned to the private party; or (3) government corporations or funds organised with the purpose of guaranteeing PPP projects. PPP agreements must establish allocation of risks between the parties, including those relating to acts of God, force majeure, acts of state and extraordinary economic risks. The public partner must be responsible for relevant risks, especially those that may generate financial effects, including expropriation and geological issues, which are difficult to measure. The São Paulo State Court issued a decision in September 2014 in a case discussing whether expropriations could be undertaken by a concessionaire of a project to build an underground subway line according to a PPP agreement. The responsibility related to the compensation for the expropriation was allocated to the granting authority. The owner of some properties in the affected area sued the concessionaire, alleging that it was illegal for a concessionaire to proceed with the expropriations. The judges assigned to the case reviewed the relevant statutes, namely: the Federal Constitution, the Federal Concessions Act, the Federal PPP Law, the São Paulo State PPP Law and the PPP agreement. They decided that since the São Paulo State PPP Law authorises the allocation of expropriations to the concessionaire and the PPP agreement established that the concessionaire was tasked with the obligation to undertake necessary expropriations, the concessionaire was entitled to proceed with such expropriations, even though the required compensation would be paid directly by the state. The Court in that case upheld the PPP statutes and the reporting judge reminded the Court that the law establishes the PPP regime in Brazil, which is supported by specific rules that have not been declared unconstitutional and therefore must be maintained. In a nutshell, a well-addressed risk matrix is the means for ensuring the protection of private interest when executing PPP agreements. Generally, the risk should be allocated to the party that is able to manage it at the lowest cost. PPP agreements must contain methods for payment adjustment and indexation, as well as mechanisms for maintenance of the services throughout the years. Contract clauses establishing automatic payment adjustment based on mathematical indexes and formulas do not need to be submitted to the public party for approval; the concessionaire should send the invoice with the adjusted amount to the public party, which will have 15 days from the submission of the invoice to reject it, in which case it must include reasonable grounds for the rejection. Contract adjustments and review methods must be stipulated in the PPP agreement and must be based on services to be executed and implemented during the concession. At the time of the execution of a PPP agreement, the granting authority must transfer to the concessionaire all public assets necessary for the performance of the service. The concessionaire will be tasked with maintenance of these assets. In addition, the concessionaire must purchase all equipment and products necessary for the adequate performance of the service. The assets involved in the provision of the granted services will become public property at the termination of the PPP agreement. Upon termination of the concession, all assets and rights transferred to the concessionaire by the granting authority for the performance of the service must be returned to the granting authority, which will render the service (directly or by means of a new competitive bidding). The reversion of assets and equipment at the end of the contractual term is conditioned to an indemnification of the portion of the amount paid for the assets subject to reversal less their natural depreciation. bankruptcy or extinction of the concessionaire. During the concession period, the granting authority may request the recovery of the service from the concessionaire based on collective public interest. This recovery requires prior payment of indemnification to the concessionaire and a specific law authorising the takeover of the service. If the concessionaire is in breach of a PPP agreement, the granting authority reserves the right to either declare forfeiture of the PPP agreement or apply contractual penalties. The declaration of forfeiture must precede declaration of breach of the PPP agreement by the concessionaire through an administrative proceeding; the concessionaire will have the right to full defence and due process of law in the administrative proceeding. The forfeiture must be declared by a decree from the granting authority, regardless of prior indemnification, which will be determined in the course of a specific proceeding. The PPP agreement may also be terminated by the concessionaire in the course of a lawsuit initiated by the concessionaire against the granting authority for breach of contract. The concessionaire of a PPP agreement must not interrupt the service until publication of a final court decision on a case in favour of the concessionaire. Pursuant to the PPP model in Brazil, the concessionaire is responsible for financing and investing in the project. The financing structure is usually partially equity investment by sponsors of the project (i.e., shareholders of the special purpose company incorporated with the purpose of implementing and managing the partnership project) and part in debt investment usually contracted with state-owned or private financial institutions. State-owned banks usually play a role in the financing of PPP projects offering credit lines with favourable market rates. Moreover, governmental measures have been developed to improve financing mechanisms involving public projects, such as infrastructure bonds. A recent court decision in 2017 addressed the importance of the public guarantee feature in PPP projects. The case related to a dispute involving a PPP contract executed by the municipality of Rio das Ostras for the expansion and operation of its municipal sewage system. A guarantee fund was created to ensure the municipality’s financial obligations. A financial institution was hired by the municipality to manage the fund and to provide the guarantee. The concessionaire began providing the service agreed on the PPP agreement in 2009 and received regular payments by the public partner. However, in January 2013, all payments due to the municipality’s suppliers (work executors, material suppliers and service providers) were temporarily suspended by a municipal decree enacted by the newly elected mayor of Rio das Ostras. As a result, payment of services performed between January and February 2013 were not made by the granting authority. The concessionaire then requested payment from the financial institution that provided the guarantee. At that point, the municipality attempted to terminate the fund’s management agreement with the financial institution. According to the concessionaire, the termination of the agreement between the municipality and the financial institution sought to frustrate the guarantee and avoid further payments. The concessionaire sued the municipality to protect the enforceability of the guarantee. The court recognised that PPP agreements involve relevant public interest, considerable capital investment and long-term relationships. It seemed clear to the court that without the effective guarantee of payments, the interest of private parties in executing agreements with the government would be severely affected. Considering that PPP agreements may reach terms of 35 years, the main purpose of state guarantees in such agreements is to grant stability to private parties. The court ordered that the financial institution in charge of the fund’s management comply with its contractual obligations and pay the amounts due under the guarantee in favour of the concessionaire in case of public default and until another institution was hired to replace it. The decision was received by the market with great enthusiasm and it has been seen as a precedent that could serve to mitigate political risks and disputes. However, a justice from the Superior Court of Justice, Minister Francisco Falcão, on an appeal to that decision seeking to suspend it, granted, on 18 May 2015, the suspension of the effects of that decision. The justice reasoned his decision on the increased possibility of financial difficulties by the granting authority as a result of the current political crisis in Brazil, a reduction on the amount passed on to public entities by the federal government, the crisis within Petrobrás, and a reduction in the price of a barrel of oil. The justice did not understand that the courts are not tasked with management of public resources and determined the transfer of amounts related to oil royalties, which was against the municipality’s laws and the Court of Justice’s decision, which did not examine the municipality’s current financial constraints. The Superior Court of Justice confirmed the decision on 2 March 2016. After celebrating its 10th anniversary, the Federal PPP Law has been very well accepted in Brazil. It was created to attract capital to finance infrastructure projects in the country and it has been broadly adopted in the most diverse sectors. Although the federal government has not implemented any PPP project in the past decade, state governments have made extensive use of this mechanism. Some efforts have been made to develop PPP projects in specific sectors at the federal level such as highways, irrigation and defence projects, but none of them have been granted yet. The expectation of PPP law in Brazil is that it will continue to play a decisive role in ensuring the viability of major and much-needed infrastructure projects in the country in the next few years, including airports, railways, urban transportation, hospitals, solid waste, sanitation, water supply and public lighting projects at the federal, state and municipality levels. 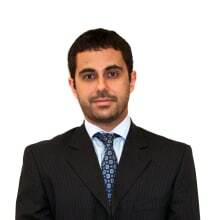 1 Bruno Werneck is a partner and Mário Saadi is a senior associate at Mattos Filho, Veiga Filho, Marrey Jr e Quiroga Advogados. 2 The federal government released a brief Q&A on ordinary concessions and PPPs is Brazil. Available online: http://www.avancarparcerias.gov.br/frequently-asked-questions-faq. 3 Information available online: https://www.radarppp.com/realizacoes/radar-ppp-na-midia/valor-municipios-avancam-nas-ppps/. 4 Information available online: http://www.valor.com.br/brasil/5239665/ppps-tem-recorde-de-projetos-mas-apenas-tres-avancam. 5 Information available online: http://www1.folha.uol.com.br/mercado/2017/12/1946003-cresce-procura-de-prefeituras-por-parceria-com-empresas.shtml and http://www.valor.com.br/brasil/5228223/municipios-avancam-nas-ppps-como-alternativa-falta-de-verbas. 6 The multi-annual plan is a budgetary tool used to estimate the expenses of the government for the following four years. 8 Information available online: http://www.avancarparcerias.gov.br/projects?num_pagina=1&status_projeto=Em%20andamento&tipo_setor=&tipo_modelo=&classificacao.